Comprehensive coverage of substantive crimes, plus the procedural, constitutional, ethical, and collateral issues involved in criminal practice. 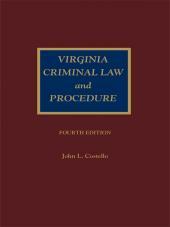 This latest edition of Virginia Criminal Law and Procedure is the definitive authority on criminal law in the Commonwealth of Virginia, offering comprehensive coverage of substantive crimes, plus the procedural, constitutional, and ethical issues involved in criminal practice. Expert author John L. Costello discusses problems encountered in pretrial, trial, and appellate practice – offering valuable guidance at each stage. 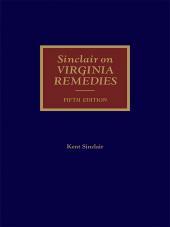 From arrest to appeal, Virginia Criminal Law and Procedure is the practice manual criminal lawyers in Virginia can't afford to be without. 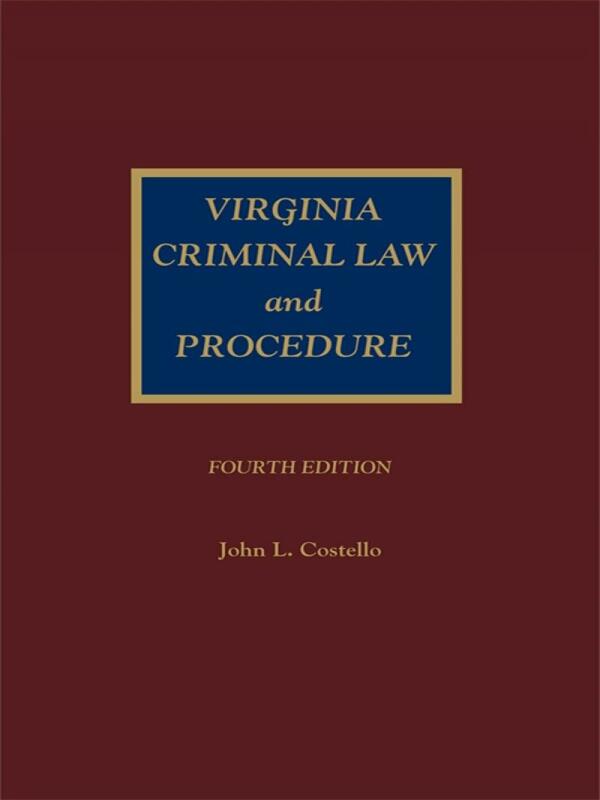 John L. Costello has more than 30 years of criminal law practice experience and has authored many legal publications and articles, including Virginia Criminal Law and Procedure, Second Edition (Michie, 1995). He is Professor of Law at George Mason University, where he teaches courses in Virginia Remedies, Virginia Practice, Criminal Law, Criminal Procedure, Evidence, Federal Courts, and Professional Responsibility. Before entering academia, Professor Costello served for three years as Associate Judge for the U.S. Army Court of Military Review. He received his J.D. from Dickinson School of Law, and an LL.M. 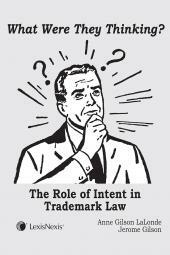 from the University of Virginia School of Law. 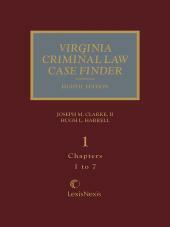 CHAPTER 40 WHO MAY COMPLAIN ABOUT UNLAWFUL SEARCH OR SEIZURE?